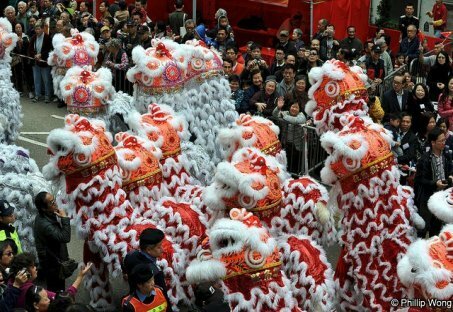 The Chinese New Year celebrations have come and gone but if you haven't had enough of colourful festivals, don't miss the Tai Kok Tsui Temple Fair which features the fantastic 18 Lions Dance on Quincuncial Piles and the 500-Feet Luminous Night Dragon Dance Performance. In the cultural front, this month welcomes Asia's premier art events, Art Basel Hong Kong, newcomer Art Central, and a plethora of satellite fairs and exhibitions in what has now become Hong Kong Art Week. The Hong Kong Film Festival, one of Asia's most influential events, gets underway this month. 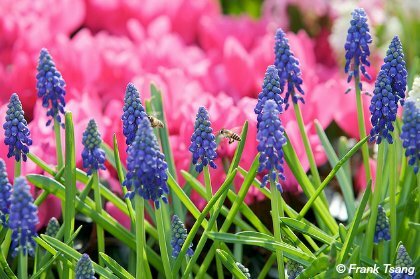 Temperatures will start picking up soon so try to get outdoors and enjoy, spring is in full bloom at the Hong Kong Flower show at Victoria Park! This month is all about art, art, art! Art lovers, curiouseurs and enthusiasts will enjoy this behind-the-scenes tour of Hong Kong's gallery world. For nature and outdoors lovers, this is a great time for that hiking or biking excursion, a trip to the marshes and wetlands is heaven as thousands of migratory shorebirds can be seen getting ready to head north towards their breeding grounds. These adventures give you a great chance to get outdoors and enjoy! Enrich your art experience and gain an insight into artwork valuation and auction secrets! Be prepared for lots of lions, dragons, kung fu, cultural performances, drumming, dances, singing, feasts, crafts... don't forget your camera! When? Sunday, March 5, 2017. Where? Fuk Tsun Street in Kowloon, it is only a 10 minute walk from the Mongkok MTR station. More on the Tai Kok Tsui Temple Fair here! 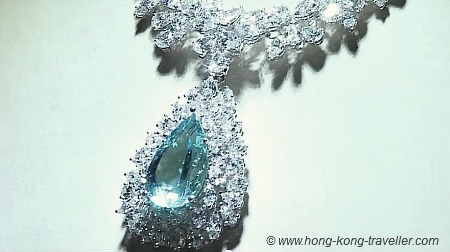 The Hong Kong International Jewellery Show is Asia's largest of its kind, higlighting exhibitor's latest collections and masterpieces, certainly a glamorous and glittery event with the latest in trends and design. For security reasons, the show is only open to trade visitors 18 or older, you must register and bring your passport or ID in person to the Registration Counter and get a validation stamp. Hong Kong Flower Show - "When Blossoms Dance"
If you love flowers and greenery, this is a "don't miss". In the middle of the towering skyscrapers of the city, the Hong Kong Flower Show is a bright and fragrant oasis with elaborate displays of flowers and landscaped areas, put together by local and international organisations. Throughout the show, floral demonstrations, cultural events and competitions are held, and it is certainly a great way to spend a half-day. This year's Theme is "Blossoms of Love" and the theme flower is the Rose. When? March 10-19, 2017 9:00 a.m.- 9:00 p.m.
Where? Victoria Park, Causeway Bay. How Much? HK$ 14, Seniors and Children HK$7. The spectacular location, delightful decorations and black tie dress code will instantly set the royal ball atmosphere and prepare guests for a glamorous night of mingling and ballroom dancing, all in support of a terrific cause, The MaximumHelp Foundation which fundraises to enhance education and social inclusion for children and adults with disabilities. 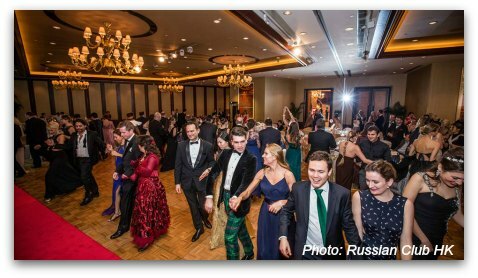 The Russian Ball 2017 is titled "Russian Wonderland". 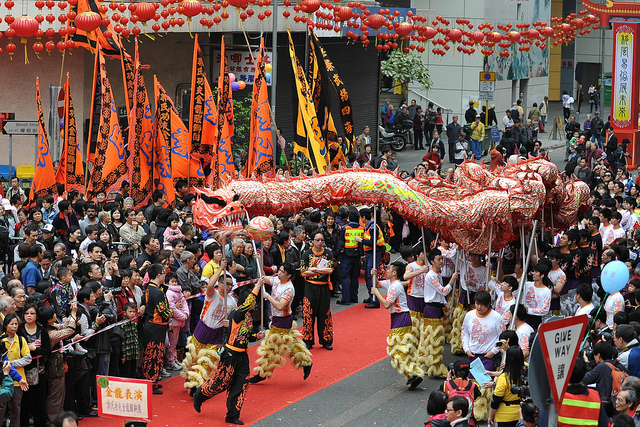 Marching Bands, bagpipes, kung fu demonstrations and of course lion and dragon dances in their best greenery... This year's St Patrick's Day Parade in Hong Kong is set to be bigger, better and greener than ever. There will be lots of new groups participating in the parade, including many local schools and performers. 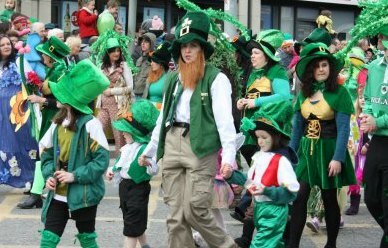 Bring the family along to Tamar Park and be sure to wear green. This year's Spring Carnival will include as in prior years the Disney Character Egg Hunt at all seven themed lands with over 100 Disney eggs scattered around and hidden in every corner imaginable, get a special edition Egg-stravaganza Guide Map to help you locate them! 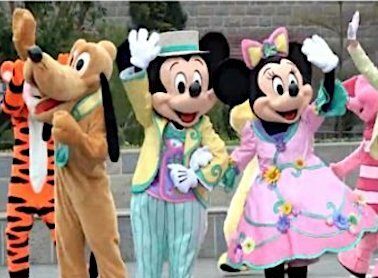 Mickey, Minnie and the gang will be sporting their new spring-themed outfits and new this year, a Springtime Carnival Procession, a brand new parade with all our favourite Disney friends old and new! How Much? Disney Springtime Carnival activities are free with Park Admission. Here's more on this year's Disney Springtime Carnival and Eggstravaganza. 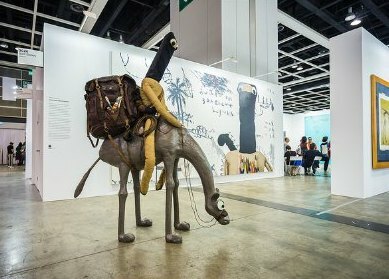 Art Basel Hong Kong on its third edition, will be bringing the art world together once again as galleries, artists, collectors and art enthusiasts from Asia and all over the world flock to this most prestigious of international art events. Recognised as the premier art event in Asia, this is where you get to see the latest developments in art from across Asia as well as the best from the West. Art fair veterans Tim Etchells and Sandy Angus, who founded the original Art HK who later became Art Basel are behind this new exhibition which will be housed in a purpose-built tent right on the city's new Central Harbourfront, a 10-minute walk from Art Basel. Art Central will showcase works from over 100 exhibitors and international galleries in this highly anticipated second edition. How Much? Adult HK230, concession and student tickets also available. Discount "Buy One Get One Free" with advanced online purchase. 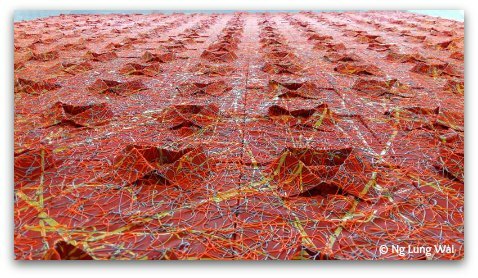 The popular and highly successful Asia Contemporary Art Show, the largest in Asia in terms of the number of artworks offered for sale, is back in March 2017 with an exciting line-up of over 80 exhibiting galleries from 17 countries in Asia, Australia, Europe and North America. 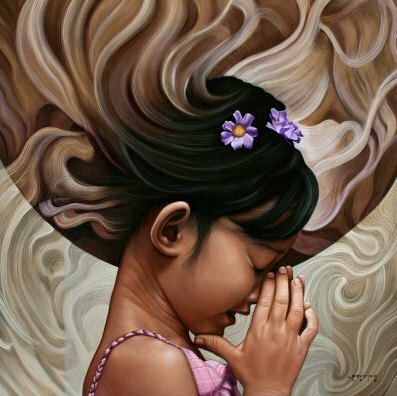 If you are seriously thinking about acquiring a piece, this one is worth checking out with over 3,000 stunning works of art from Asia and beyond. All the works can be viewed, and bought, online at www.asiacontemporaryart.com, so even after the doors close, the Show continues online, with new works being added every day. This year's edition introduces two new features, China Perspectives and Artist Projects. Spread across the Show, China Perspectives will present a collection of contemporary art from new and emerging Chinese artists, while Artist Projects will dedicate 30 art spaces across two floors to solo or joint artist presentations. Where? : The Conrad Hong Kong, Pacific Place, 40th to 43rd floors. Exhibition of Ng Lung Wai's New Series of Artwork "It Speaks to Me"
Contemporary artist and collector Ng Lung Wai is back this year with another incredibly unique exhibition just in time for Hong Kong's Art Week. His artworks are created with authentic items from the artist's own private collection of vintage items and antiques, such as more than 20,000 European stickpin badges, thousands of Hong Kong generic stamps, mosaics, tokens, clothespins, etc. At this year's exhibition themed "It Speaks To Me", Ng gathers 300 ordinary white shirts, neatly mounts them on panel one by one to form a 6 metre x 5 metre canvas. He then applies with his unique twist, squeezing paint through medical syringe onto the canvas; the visual effect is phenomenal. The Asian Film Awards is a fairly new programme launched in 2007 but is gradually gaining prominence in the film making industry. This is not to be confused with the Hong Kong Film Awards which have been around since 1982. The Asian Film Award Gala is the kick off to the HK International Film Festival, and presents awards in ten different categories such as Best Film, Best Director, Best Actor and Actress, etc. these are the "Oscars" of Asia. It is certainly a glittery evening with prominent local and international stars, which over the years has included Jet Li, Andy Lau, Oliver Stone and Donatella Versace. Attendance is of course by invitation only, but the fans can catch a peek of their favourite celebrities as they arrive at the Red Carpet. Here's more on the Asian Film Awards and this year's nominees. On its 45th year, this is Hong Kong's foremost event dedicated to the performing arts. 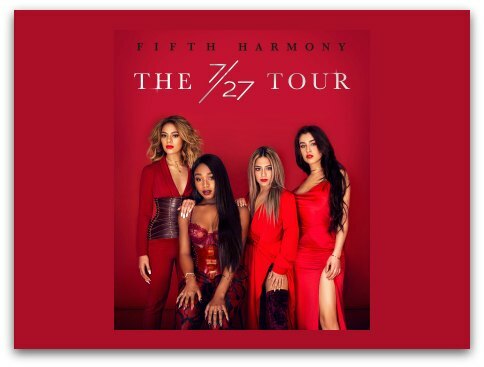 Five weeks of spectacular performances with all genres of the performing arts well-represented including concerts, ballets, operas, drama by leading international orchestras, performers and artists in world-class venues. 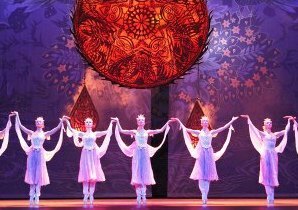 This year's line up include Les Ballets Jazz de Montreal, the Hong Kong Sinfonietta, Louis Langree and the Cincinnati Symphony Orchestra, the Bayerisches Staatsballett and many more. The stage is the entire city, which is what makes it so unique, you can watch the lights from just about anywhere in the waterfront. This free show offered by the city, takes place every night at 8:00 pm and lasts aboout 15 minutes. How Much? Depends, there are many ways to experience the races, from General Stand to Private Boxes and special packages including dinner and drinks. General Stand entrance starts at HK10.